is a non-profit making charity, registered in England, which researches and educates about agroforestry and into all aspects of plant cropping and uses, with a focus on tree, shrub and perennial crops. We do practical research on our trial grounds, run courses, publish guides, and sell plants, seeds and books. 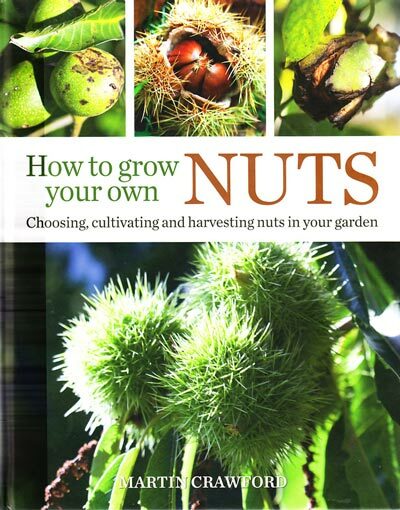 Martin Crawford’s new book covering all aspects of nut growing for gardeners and small commercial producers. Are you interested in starting your own forest garden, but need a bit of help getting started? This online course shows you on screen how to get started, how to make a good design, what the options for tree, shrub and perennial plants are, then how to go about planting and creating your own productive system. Learn how to design, implement and maintain a temperate forest garden or food forest. Learn how to make a subtropical growing space. This weekend course will cover all aspects of growing common and uncommon nut crops in Britain, Europe and North America. The Agroforestry Research Trust is inviting interested visitors on a tour of our each of our three sites, led by Martin Crawford. This course is for those already under way with their own forest gardens or food forests.